With Spring here all of our golf swings are coming out of hibernation and you may have a bit of dust and rust to knock off before getting back to where you were at the end of last season. 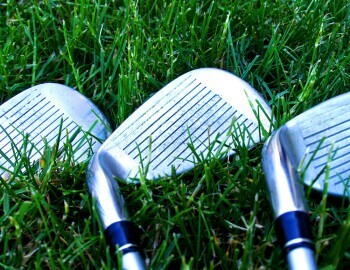 Usually, now is the time we start eyeballing our equipment and consider buying new gear and it can be very tempting hearing the announcers on TV talking about the latest and greatest clubs that somehow guarantee you 50 more yards, or will allow you to automatically hit it closer the hole. I wish it were that easy. For many of us that do not get a chance to practice during the cold months, our golf swings can change without us knowing it and a lot of times, we come out winter a different golfer than we were ending the past season. Maybe you had a plaguing injury fixed or took some fitness or yoga classes to work on your strength or flexibility. At any rate, it is important to make sure you are swinging well before you invest in new equipment. Here at the Nike Golf Learning Center, we want to make sure you start the season off in the right direction, so give us a call to schedule a check-up lesson or club fitting.